Everything you need to know about the Michigan Wolverines as they begin the NCAA tournament. The Case For: Michigan does two things really well. They hold onto the basketball and they make the most of their possessions. They rank ninth in offensive turnover percentage (14.7) and 16th in effective field goal percentage (55.0). One of the slowest teams in the tournament, Michigan averages 18.6 seconds per possession (304th in the country), which should help to get open looks with star senior guard Caris LeVert out for the season with a left leg injury. The Wolverines have the fourth best steal percentage on offense, setting them up for a ball control game. And that’s where Michigan can be dangerous. With their long possessions, they can really slow down high-tempo teams. The Big 10 isn’t a fast conference overall, but Michigan did beat three of the top four fastest teams—Rutgers, Illinois and Purdue. Michigan has no real bad losses on their slate, and they do have four wins against teams ranked in the RPI top 25—Maryland, Purdue, Indiana and Texas. In past tournaments, Michigan has proven they can get hot—and with a guard like Walton capable of leading the way, they could surprise. The Case Against: The loss of LeVert was brutal. LeVert had led the team with 16.5 points per game and 4.9 assists. He’s also a knockdown three-point shooter, scoring at a 44.6% clip. That loss has trickled down to the rest of the team. In the last 10 games before the Big 10 tournament, the Wolverines shot just 33% from distance. That’s bad news for a team that relies on a three-ball to win—44.5% of their attempts come from distance. Even with LeVert, this was a flawed team. They are 326th in rebounds per game, and only one other major-conference team (the pitiful Boston College Eagles) are lower. A LeVert-less Wolverines team will be hard-pressed to get past the first round because there is nobody else who is a legitimate threat to take over the game. 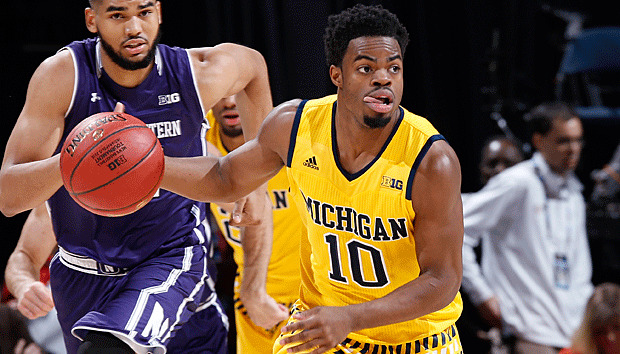 A trio of Derrick Walton Jr., Zak Irvin and Duncan Robinson will have to pick up the slack, and they haven’t done that yet. Michigan entered the Big 10 tournament losing four of their last five and six of their last nine. SI Prediction: Beat Tulsa in the First Four; lose to Notre Dame in the first round.